Are you interested in spreading happiness to the world? 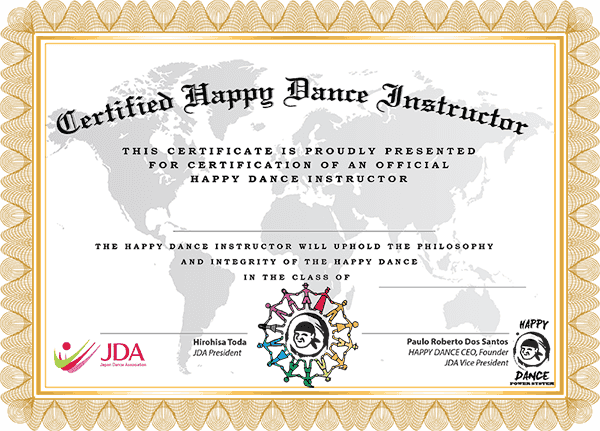 Become a happy dance instructor and teach others how happiness comes from dancing together! There are three levels of happy dance instructors that you can see below. Happy Hip-hop or Happy Samba Latin or Happy Aero class. As a silver level trainer you will be able to give dance / aerobic classes to people at both the beginner, as well as the advanced level of the Happy Fitness program. Happy Hip-Hop, Happy Samba Latin an Happy Aerobic styles. As a gold level trainer you will be able to train other instructors so you will have Master Trainer level. You will hand out certificates of all levels to new instructors who have successfully completed a happy dance instructor course. 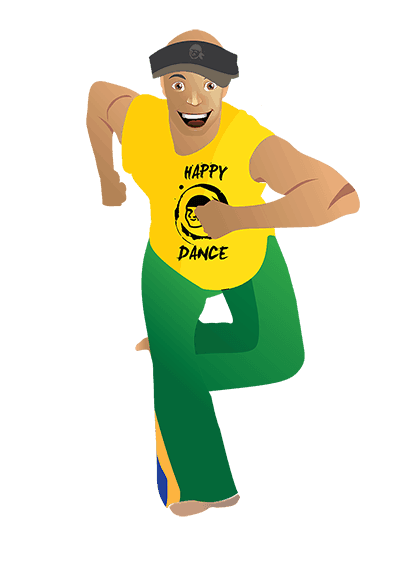 At the same time you will be able to give happy dance classes to people of all levels in the happy fitness program, happy business program and happy kids program.